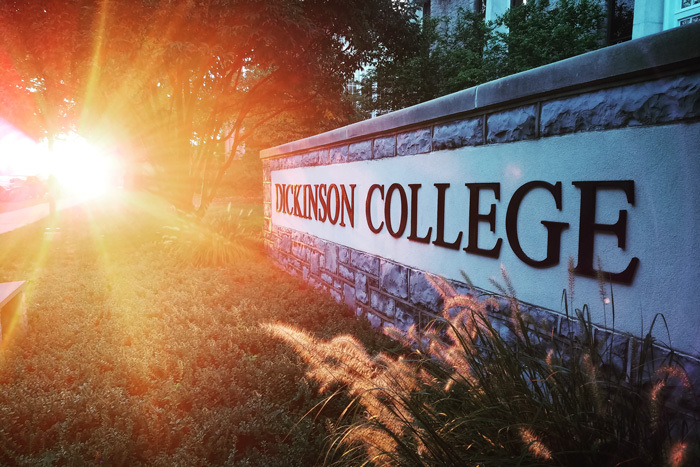 Dickinson recently launched its Center for Advising, Internships & Lifelong Career Development, which merges the Office of Academic Advising and Career Center to focus on career opportunities and outcomes for both students and graduates. Under the center’s aegis, Dickinson faculty and staff begin interacting with students before they even move to campus, with summer advising sessions. These phone and Skype calls allow students to discuss and parse their academic goals and select their first semester classes. Then, across students’ four years at Dickinson, the center is also critical in providing students with support in the search for and completion of internships, externships and research and volunteer opportunities. At the same time, center staff will increase the level of support related to academic advising available to faculty members, academic departments and campus colleagues, such as those in the Center for Global Study & Engagement. Under the Division of Academic Affairs, the center will be instrumental in helping students understand the logic of Dickinson’s curriculum and define their academic paths. Center staff will arrange career-focused workshops, networking opportunities, alumni guest speakers, one-on-one consultations and more—all designed to equip students with the tools they need for success during and after their undergraduate experience.